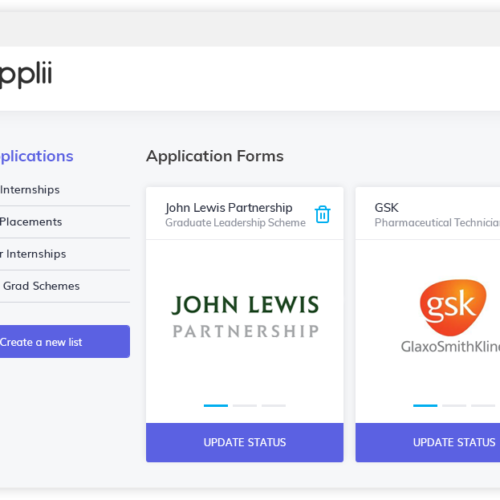 Applii is a new job portal website, designed to help students find their ideal apprenticeship, internship of graduate positions. 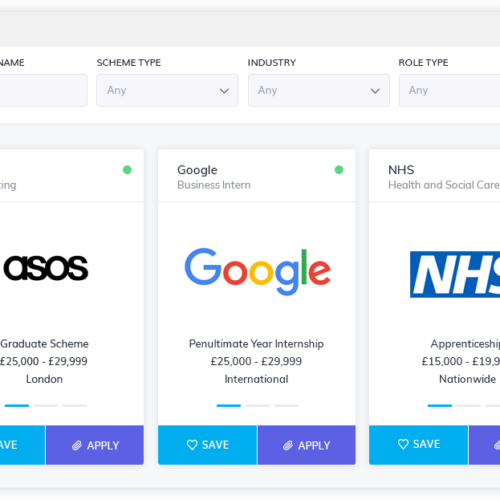 As a user, you can create your own personalised account to search for your perfect job – from over 5,000 available positions. The client specifically requested the use of React, a platform that they themselves had development experience with, and could therefore maintain the site themselves. A auto-complete company name field allows you to search for / select multiple companies you are interested in – anything from technology giants Google, to sports clothing manufacturers Adidas. After performing a search, positions can be clicked to view specific details. From there each position can be applied for, or saved as a favourite to that user account. Each listing also utilises a coloured status indicator – to immediately tell users if a position can be applied for now, or will be open soon. All job information is collected via an API, which means there is no content locally saved on their website. The added benefit of using React is speed, as its structure requires less elements to load (when compared to a regular html website or other platforms) – creating a more user-friendly experience, especially on mobile devices. Certain components can also be reused easily, which cut down on overall development time.